SAMP is happy to inform you that, starting from today, we will take care of an awesome blog! Our blog aims at giving voice to many different aspects of mechanical engineering. We would love to reach not only engineers and technicians, but also smart and curious readers who simply want to learn more about this world. This is the reason why our posts will be really broad in their nature. You will read articles spanning from the history of the wire drawing process to high-technology papers about gear grinding or aluminum inline annealing. But we want to go further than this. We have decided to make our blog an open window on the engineering world, showing the daily life of technicians, specialists, engineers and all people who work in our business. Our blog is written in a mix of formal and informal language, depending on the nature of the post. So, if you feel like reading high-quality technical papers or more light and fun articles about mechanics in general… you are in the right place! 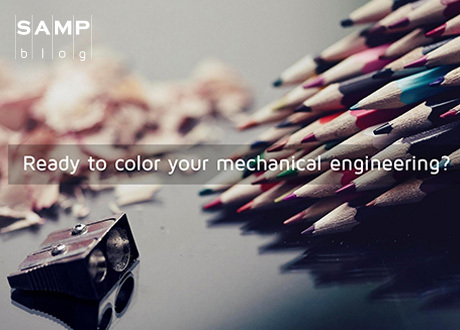 Our goal is to color the engineering world using our solid know-how. We truly believe that sharing is power and that our blog is the best platform to do it. Moreover, we ask you not to be passive! Let us know what you think about our blog and which topics you would like to analyze in depth. We will do our best to meet your expectations and answer all of your questions!